A paradigm shift is occurring in sports nutrition and whether you are a competitive or recreational athlete, slow or fast, short or long the key to sustained performance and health is to improve your body's ability to tap into your virtually limitless energy supply found in fat. 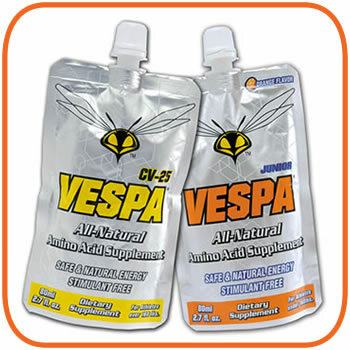 VESPA, Nature's Catalyst for Optimizing Fat Metabolism (OFM), has pioneered the "fat is your fuel" approach with winning and record breaking performances. Come join us Tuesday, February 10th at 7 pm when VESPA General Manager, Peter Defty will be discussing fat-adaptation and VESPA to learn more about how to tap into your virtually limitless onboard energy supply to improve health and performance. Like any true innovator Peter was roundly ridiculed and dismissed by the "experts" for his advocacy of VESPA and development of a "Fat as Fuel" approach. This dismissal, even downright ridicule, continued even though athletes utilizing this approach were winning, setting Course Records and placing at many of the most prestigious ultra-endurance competitions; events like The Colorado Trail Race (CTR), The Grand Traverse (CB to Aspen), Leadville 100 Mile Trail, and The Western States 100 Mile Endurance Run. In late fall of 2013 two of Peter's athletes, Zach Bitter & Jon Olsen broke the 12 hour barrier for the 100 Mile American Record, a record that had stood for decades within 6 weeks of each other. While these and many other out-sized performances by VESPA powered OFM athletes of all ages and abilities still failed to gain any mainstream credibility due to a lack of "published" science, an rapidly growing group of athletes are successfully adopting this "game-changing" approach. Doctors Stephen Phinney, MD / PhD and Jeff Volek RD / PhD , two of the World's leading researchers in Ketogenic Diets, took notice and made a point to discuss Peter's work in "The Art & Science of Low Carbohydrate Performance" as well as use his pool of athletes for research studies. Data emerging from these studies is corroborating what Peter and his athletes have been saying for years regarding the competitive edge of a fat-fueled performance approach and actually challenging what current science says is possible. This is one of those rare opportunities to gain insights into the paradigm shift in sports physiology, nutrition and metabolism that is on the horizon by one of the people making it happen in the real world.